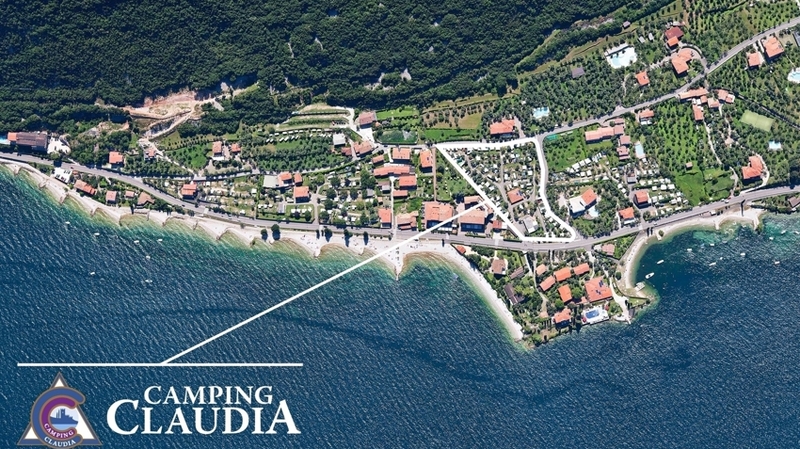 Our Camping Claudia is the perfect choice for families and for all those who love hiking, mountain biking, water sports as well as cycling. 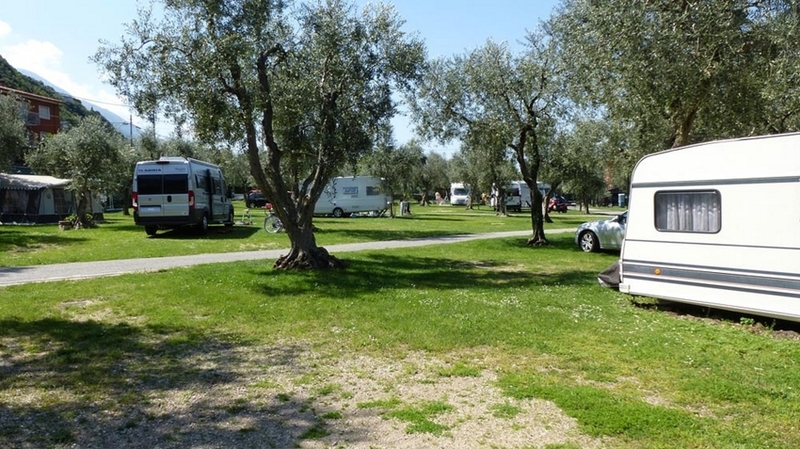 The campsite is situated in the locality of Campagnola, only 30 m from the shore of Lake Garda. 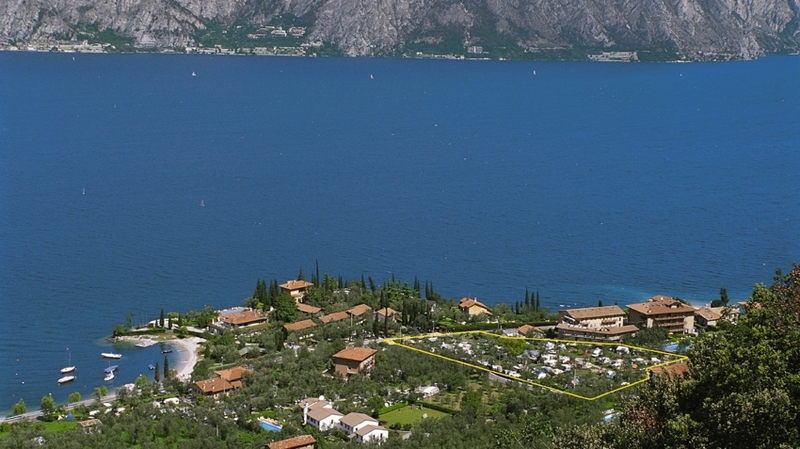 In the surroundings, you will find some of the most beautiful bays of the entire lake. 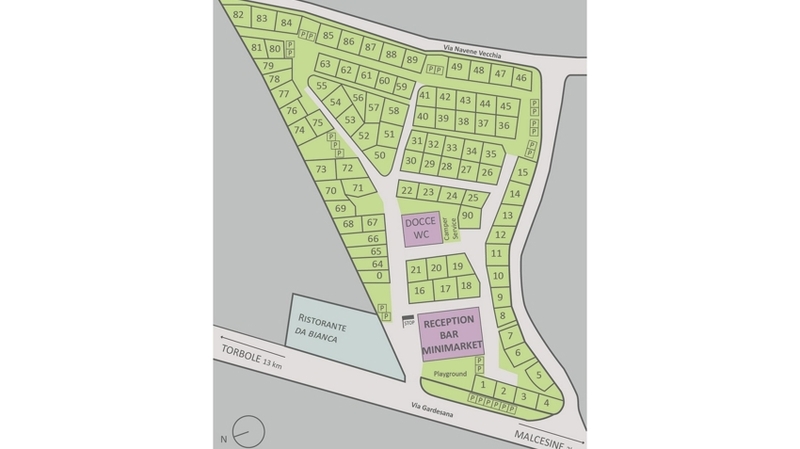 The area is a surfers’ paradise. 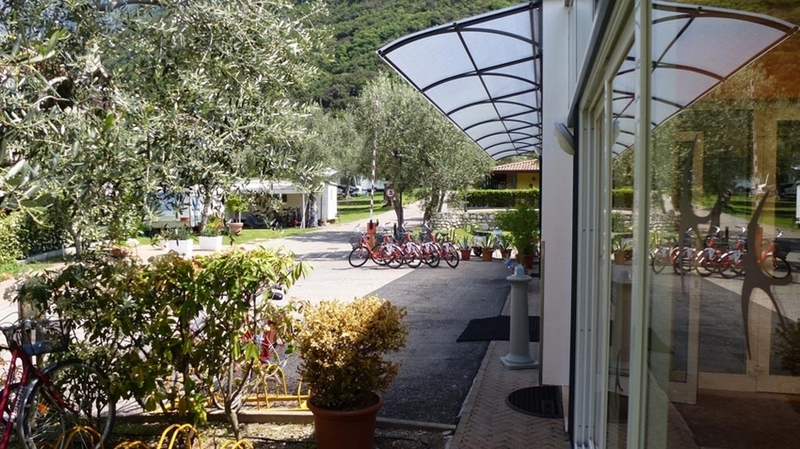 Motorcyclists are very welcome on our Camping Claudia. 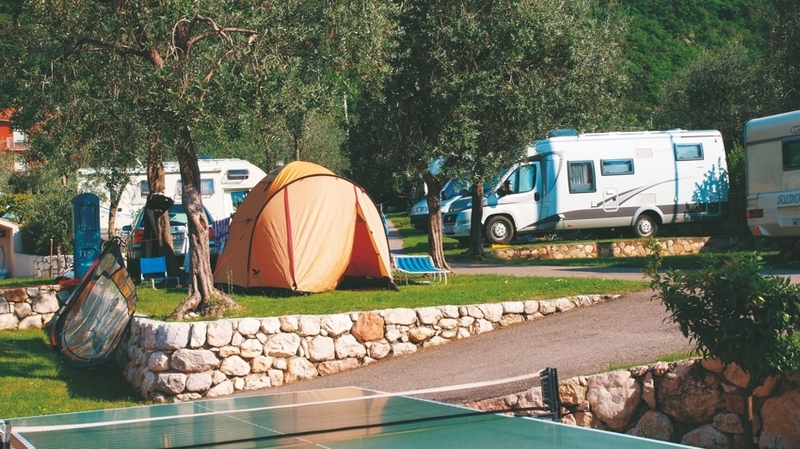 The campsite is partially free of barriers and appropriate for persons with disabilities. 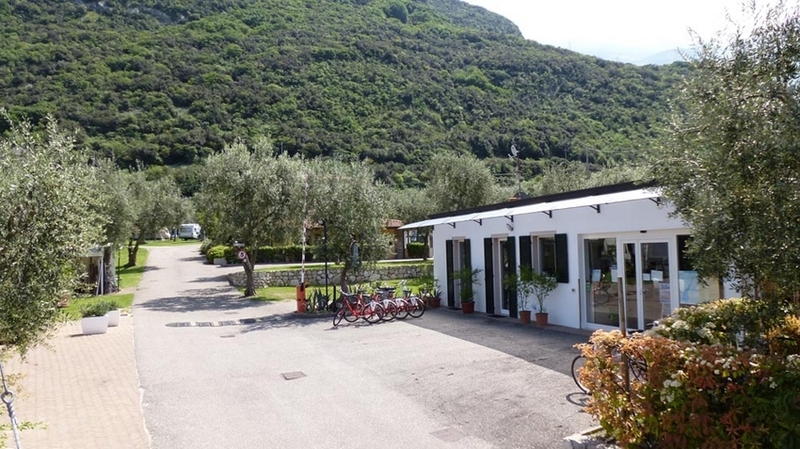 Our well-equipped premises and the extensive service make every day of holiday at Camping Claudia in Malcesine a very special experience. 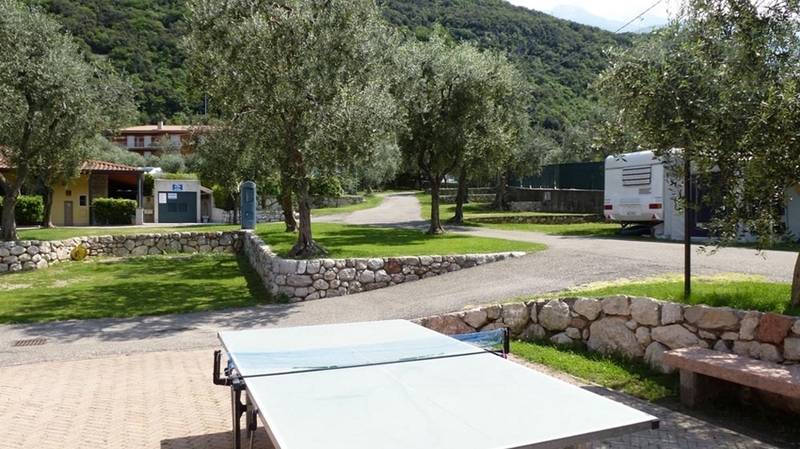 At your disposition are for instance a mini market, a bar with terrace offering convivial aperitifs, sanitary facilities with hot water showers, table tennis and a children’s playground. 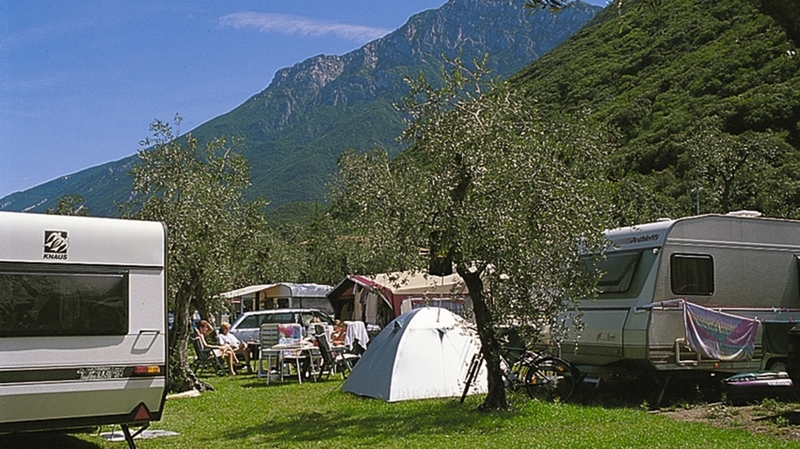 On the campsite’s well-kept green areas, you can relax and enjoy the magnificent natural landscape. Pets are allowed. 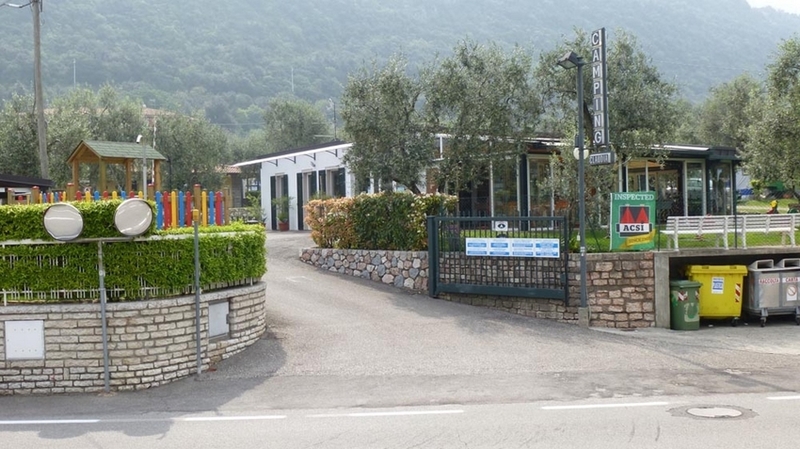 In the environs of our Camping Claudia, you will find numerous restaurants, pizzerias and ice-cream parlours, offering sweet and savoury delicacies. 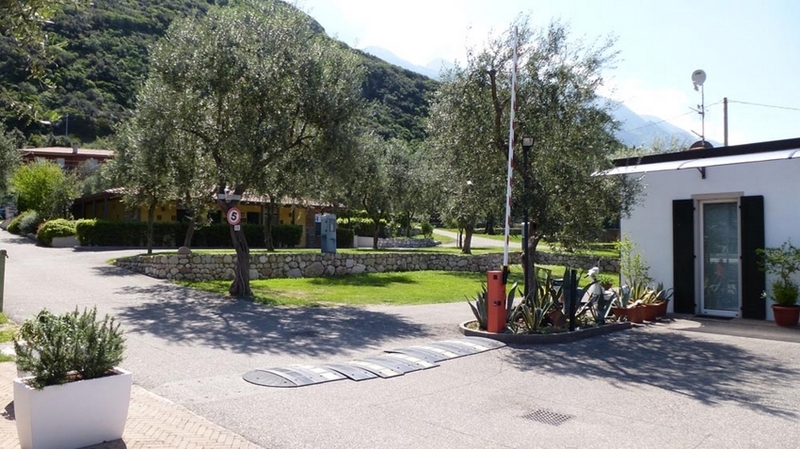 From the picturesque centre of Malcesine, you can reach Monte Baldo by a cableway within only 10 minutes. 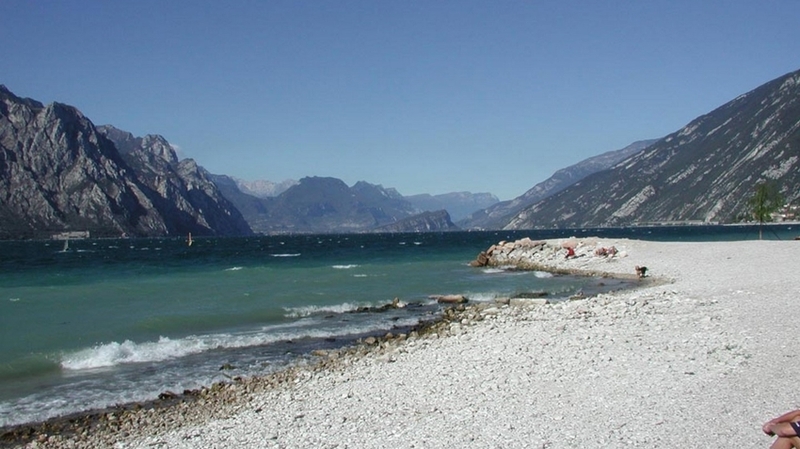 The famous mountain offers countless hiking paths, mountain bike tours and starting places for paragliders. 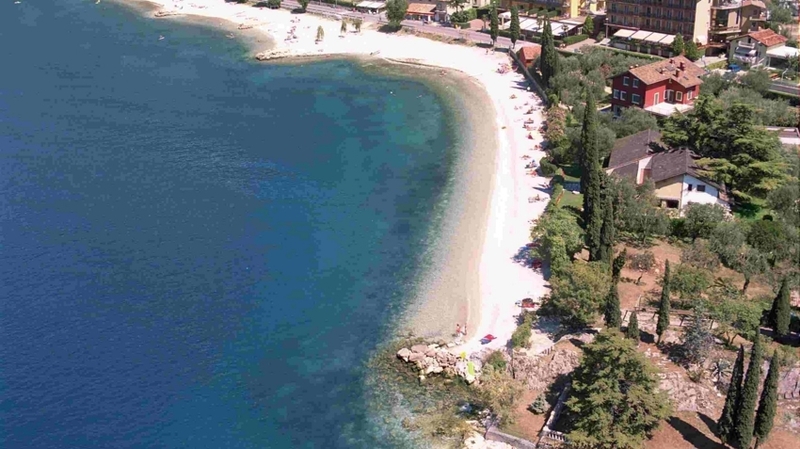 The beaches of Lake Garda are a paradise for water sports lovers. 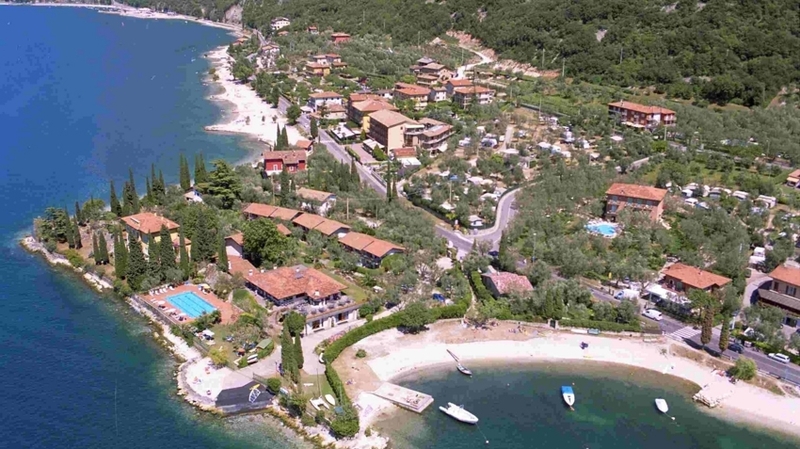 The most popular sports in Malcesine and environs are for instance sailing, surfing, SUP, canoeing, freeclimbing and tennis. + Schön nahe am Strand gelegen und doch ruhig.Sehr netter Betreiber, wir kommen gerne wieder. + Die Lage der Platz die Betreiber alles super war schon zum dritten mal da Kann ich jedem weiter empfehlen. 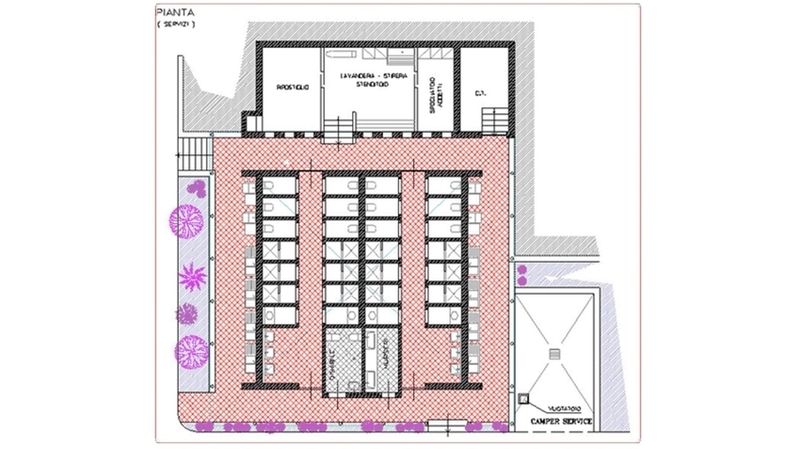 + Klasse Platz mit fast täglich frischem Obst und Gemüse. 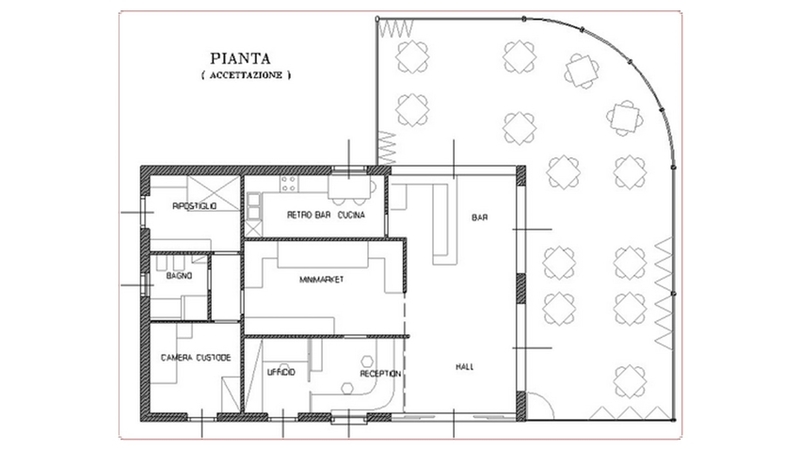 Sehr saubere Toilette und Dusche. Kleiner sauberer Strand 100 Meter vom Platz. Sehr freundliches Personal. + Das großzügige Sanitär. Große Kabinen. 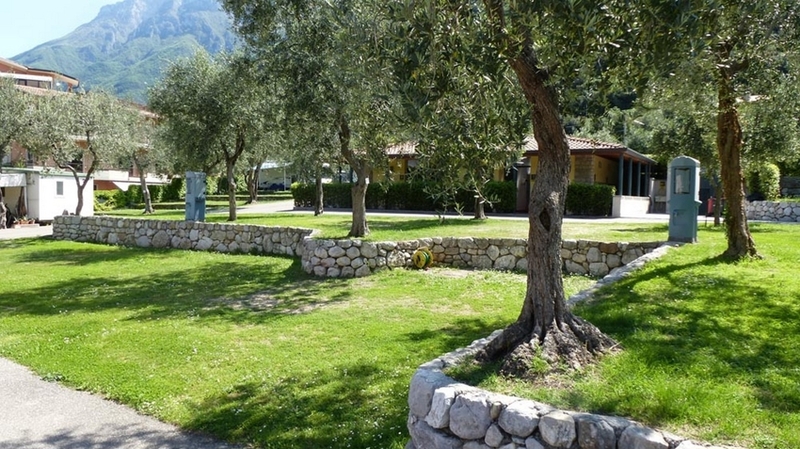 Die Lage im Olivenhain. Keine Animation, kein Pool. Einfach nur schöne Stellplätze und Ruhe!